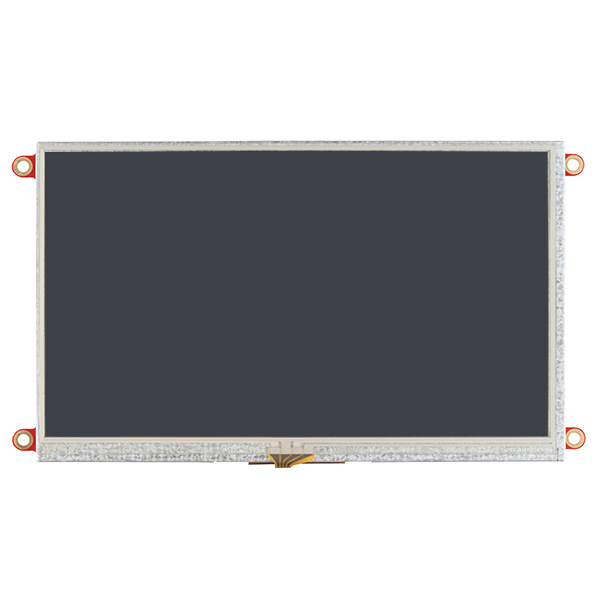 This display module from 4D systems is the uLCD-70DT, a 7.0” intelligent touchscreen LCD powered by the DIABLO16 graphics processor. 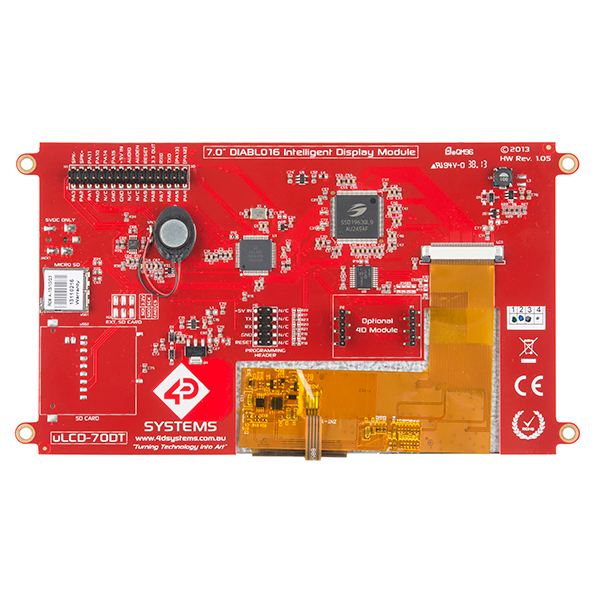 The uLCD-70DT is designed for applications demanding a large intelligent display module, and is the largest size available from 4D Systems. The DIABLO16 Processor offers considerable FLASH and RAM upgrades over the PICASO processor, and also provides mappable functions such as I2C, SPI, Serial, PWM, Pulse Out, and Quadrature Input, to various GPIO, and also provide up to 4 Analog Input channels. The uLCD-70DT also features 2mm pitch male headers to connect an optional module. 4D Systems intends to bring out one or more modules which will be compatible with the uLCD-70DT, offering connectivity such as WiFi or Bluetooth. This will enable the uLCD-70DT to connect with remote devices. Note: A power supply of 5V, 1A-2A is recommended. 7.0” Intelligent LCD-TFT display module powered by DIABLO16. 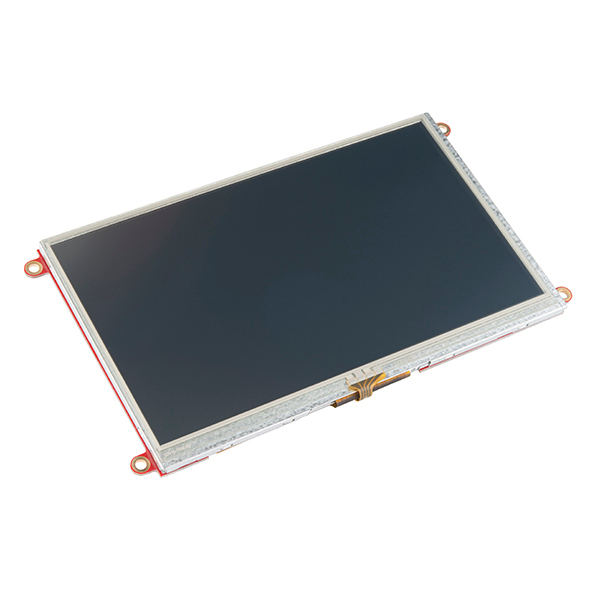 800 x 480 Resolution, RGB 65K true to life colors, TFT Screen with integrated 4-wire Resistive Touch Panel. The Arduino library for this display can be found here. Using the Workshop 4 software to compile and upload through the serial-to-USB converter, you can write a message and draw shapes on the 7" touchscreen. If you are using a different 4D touchscreen, make sure to change your platform. The ViSi environment was used for this example. Check the 4DGL Programmer's Reference manual for more information about the programming language http://www.4dsystems.com.au/product/4D_Workshop_4_IDE/ . The default firmware for this display can be found on 4D's product page here. Just an editing note: The second and third paragraphs are the same. It would really be useful to know the average and peak power consumption. Mouser now carries the matching bezels (white and black) for those in the US! Does this come with the shield like the smaller ones? Does this have plug-n-play capability with the RPi, or does it require programming to set up? Depends what you mean by plug and play. Plug it in and send serial commands to it and you should be good to go, but you do need to send it serial commands for it to do anything. Why doesn't this one have the micro SD card slot populated. It seems the smaller screens have it populated. It would seem a larger screen could use more graphics and have a greater need for extra storage. 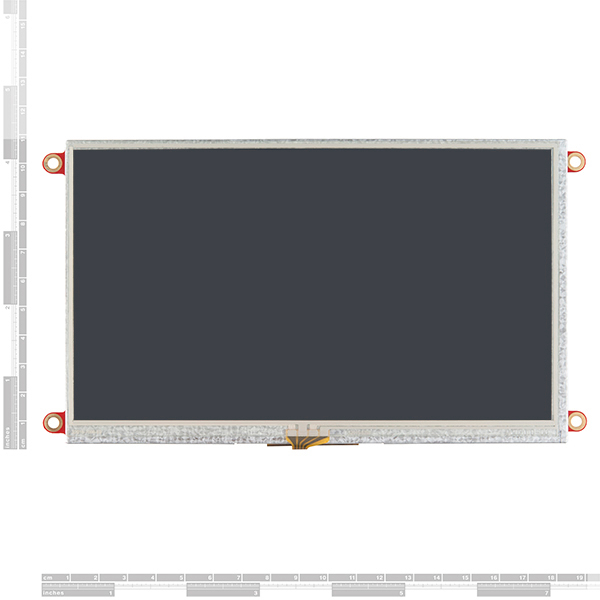 Does this screen have differences other than screen size compared to the 4.3" touchscreen LCD here: https://www.sparkfun.com/products/11740? Sorry, I missed that it was the full size SD that wasn't populated and that the Processor is more capable. I still want to confirm that this unit is as capable, if not more, than the smaller screen sizes. Thanks! the speed of the screen update is poor, is there away to speed up the screen update when clearing the screen or drawing a new background? This is the next frontier for manufacturers. I mean, the RPi has more computing power than the entire Apollo program (ground stations and spacecraft) for a nominal $35, but to interact with it with a measly 7" screen costs 5 times as much. For that matter, for essentially the same price you can buy a 17" touch screen monitor. It'd sure be nice if the price would scale with the size. I know that there's all sorts of reasons for this having to do with market size, amortizing tooling, engineering overhead, etc., but it still feels wildly disproportionate, even if it isn't really. It'd be nice to have a screen that's about the same size as the RPi for about the same price as the RPi. That is very much closer, thanks. I know that it's a lot more limited than the product above, but it looks as if it will be good for a bunch of simple projects with a better price point. Could you add a screenshot with it powered on and stuff on the screen please. Will this hook up to the Beaglebone Black? It should with the proper connections. All the Beaglebone Black/RPI/arduino is doing is feeding it information. Just follow the instructions and hook +5V, GND, RST, RX, and TX to the appropriate ports on your BBB and you should be on your way to one epic project! Although it is pricey, this display gets the job done. I have used it's smaller 3.2 and 4.3 inch brothers on other projects. 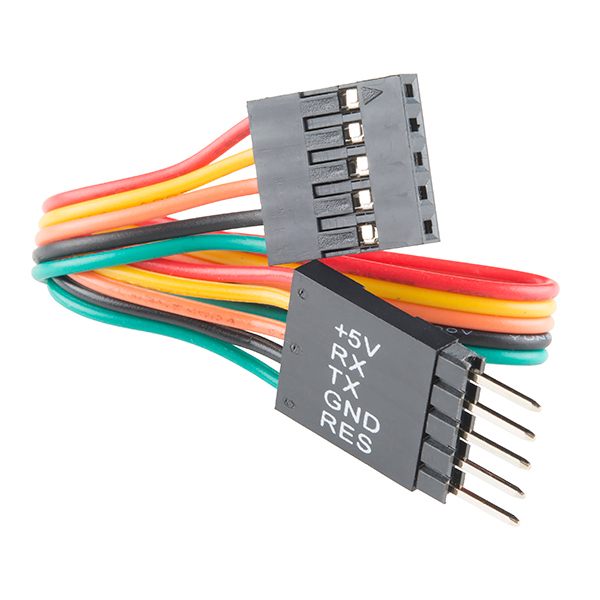 I am making this one with a connector on a cable so it can be used on multiple projects. I am dissapointed that you are not carrying the matching bezel for this screen, which is confusing because you carry them for the other sized screens. I was able to get a project up and running very quickly at work with this screen. Easy to use and program with their software package. Graphics are nice. I like using it so much I bought a 4.3" for myself. I wish it could be a kitted with the bezel, stand, Arduino adapter, and any cables needed. Sorry to hear that a few of your boards aren't working. Please contact our tech support team, and they can help resolve your issues.